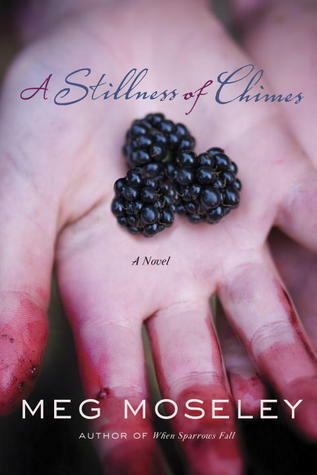 Review: A Stillness of Chimes by:Meg Moseley | A Simple Life,really?! When Laura Gantt returns to Georgia to handle her late mother’s estate, she hears a startling rumor—that her father staged his drowning years ago and has recently been spotted roaming the mountains. With the help of her former high school sweetheart, Laura searches for the truth. But will what they find destroy their rekindled feelings? A Stillness of Chimes, is probably a book that best describes how I would of felt directly after my own mother had passed away. I went through such a sad depression after the loss of my mother. I missed her so terribly I begged God to bring her back and turned very angry towards Him when He didn’t. When you lose someone so close to you it can have devastating effects if you let it. But I do believe even after saying all of that, if I would of been in the place of the main character, Laura Gantt and learned that after 12 years my father was very much alive—I would be livid! Laura soon starts to investigate the happenings to uncover the truth about her father. She chooses to this with her former high school sweetheart and before long it rekindles things between them. What will either of these newly upturned situations bring to her life. Visit with Laura while she revisits the past in A Stillness of Chimes. **Disclosure** This book was sent to me free of charge for my honest review from the Blogging for Books Book Review Program.